Since its inception, the World Wide Web has gradually evolved in order to accommodate user’s needs, particularly in regards to input and output of text and images. What started as very rudimentary displays based on the ASCII character set, has now become expanded, standardized systems like Unicode, HTML4 (and hopefully soon HTML5), CSS and all other web standards in use today. But what about the most universal of human languages, mathematics? The evidence tells us that the ability to display mathematical expressions on the web has evolved very slowly, and is very far from reaching a point of widespread adoption, which is somewhat surprising considering the great amounts of potential users around the world. 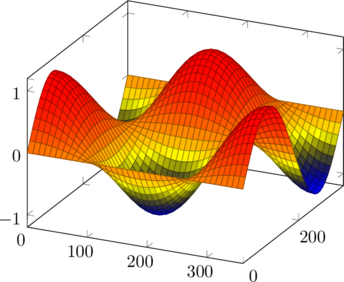 Even though a standard for math on the web, MathML, has existed since 1998, with its latest version MathML 3.0 adopted very recently, it is a tool with remarkably little use on the web. There are many reasons for this: the reluctance of users to learn a new coding language from scratch, the availability of “user-friendly” tools like MathType and Microsoft Equation Editor (now bundled into Office 2010), but particularly the widespread, cult-like use of TeX and LaTeX, the gold-standard of typesetting systems, which has been adopted by academics, scientists (and more importantly, publishers) since its development in the late 1970’s. As you may have experienced, the divide between those who are willing to publish some math (that may not look perfect but was generated with little effort), and those whose mathematical expressions must look nothing-less-than-perfect (no matter the effort), is enormous; the first camp prefers limited (but easy-to-use) equation editors, whereas the other favors TeX or LaTeX, and publish math online by rendering their documents into PDFs, in a way avoiding the web altogether. Here at Vassar, we have just installed the QuickLaTeX plug-in and are very happy with its performance— if what you want to do is typing or copy/pasting your good ‘ol LaTeX commands. All you need to do is to start your post with the expression “latexpage” (between square brackets), and then enter your LaTeX code below. If you would like to include inline equations, you can just type them between ‘$’ signs, like this: . 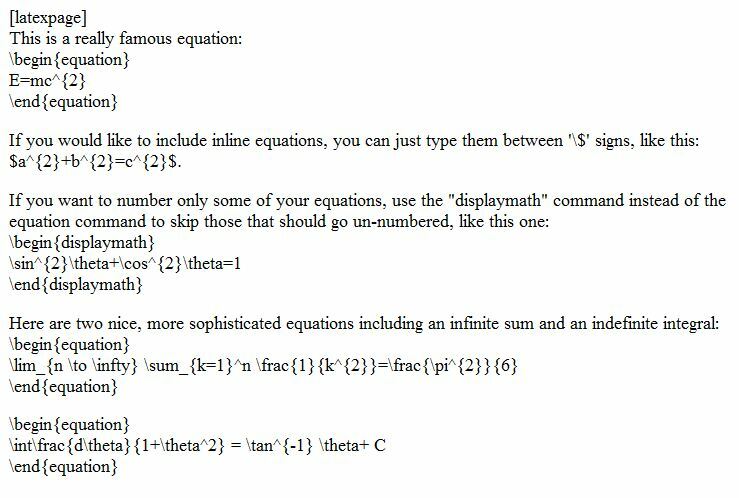 Here’s a quick start guide to QuickLaTeX, featuring some neat examples. As you can see from the results above, this plugin is already available on our WordPress production system. Please let us know what you think!